Put a whole new spin on clean with The Laundry POD. 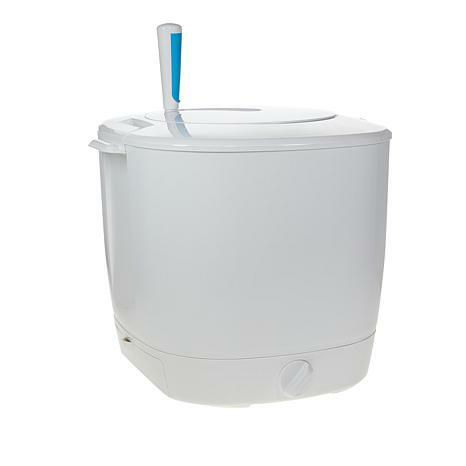 This portable washing machine is designed to handle smaller loads of laundry with a minimal amount of water and no electricity, keeping your garments clean on the go. This convenient POD goes where no conventional washing machine can — with you. Volume Capacity: 202.88 fl. oz. 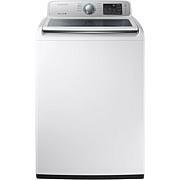 Design and quality is excellent, thankful for a manual washing machine have wanted for a while. And, if the power goes out I can wash, spin and then dry my clothes on a rack. Cost effective due to the increases in power and saves time. 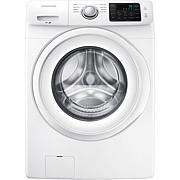 I like this Manual Washing Machine. I washed my DG2 pants and tops in this manual machine and they came out fresh smelling and very clean. I spin 3 mins using my right arm; break, then spin 3 mins in the opposite direction using my left arm, then I put the tube in the sink and spin while releasing the water. Add a fresh jug of cold water and spin while releasing the water. It's a workout, but it's worth it; it WORKS & it CLEANS my clothes are Clean. Happy Customer. 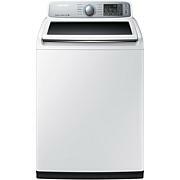 Like this washer as it is economical, and efficient and having broken both my hands in the past, it helps me by not having to wring out small loads of hand wash. Recommend. Oh, kids can use it and learn useful skills in self maintenance. Recommended.